Trauma is the third lead cause of mortality worldwide and is the first cause of fatality and invalidity in the 16-45 age group. While early mortality is mainly due to overwhelming hemorrhage and catastrophic central nervous system injuries, later deaths are triggered by multi-organ failure and healthcare-acquired infections. Even if early deaths were reduced with road safety and pre-hospital care improvements, multi-organ failure and healthcare-acquired infections remain a serious burden for severe trauma patients. Indeed, 45% of patients admitted to a Level 1 Trauma Center develop multi-organ failure and infection remains the leading cause of death after trauma. It is now thought that the innate immune system plays a key role in both trauma-induced remote organ failure and in trauma-induced immunosuppression. Indeed, according to the danger theory, damage-associated molecular patterns (DAMPs) are massively released following severe musculoskeletal injury, which then bind to various receptors on the surface of neutrophils and elicit widespread systemic inflammation. For instance, mitochondrial DNA and formyl peptide are released after cellular breakdown, bind Toll-like receptor 9 and formyl peptide receptors on the surface of neutrophils and trigger multiple inflammatory processes, such as transcription of pro-inflammatory genes, leukocyte chemotaxis and cytokine production. DAMPs are numerous and emerge from multiple intracellular compartments: cytoplasm (S100 proteins, eosinophil-derived neurotoxin, uric acid), nucleus (free nuclear DNA, high mobility group box 1, histones), and mitochondria (mitochondrial transcription factor A, mitochondrial DNA and formyl peptides). Mitochondrial DAMPs are particularly relevant since they show evolutionarily conserved similarities to bacterial pathogen-associated molecular patterns (PAMPs). Many indices converge on a close association between injury severity and the amount of DAMPs released. Upon DAMPs binding, activated neutrophils propagate inflammation and mediate cell injury essentially in the lungs by releasing neutrophil extracellular traps, which contain elastases, histones and proteases. In the systemic circulation, mitochondrial DAMPs also bind formyl peptide receptors on smooth muscle cells and subsequently induce vascular hyporesponsiveness. Endothelial permeability is also increased through both neutrophil-dependent and neutrophil-independent pathways. In the lungs, increased permeability, lung congestion and direct epithelial damage promote lung injury and acute respiratory distress syndrome. At the same time, DAMPs profoundly reduce innate and acquired immune responses. For instance, leukocyte HLA-DR gene expression and ex-vivo stimulated cytokine production negatively correlate with plasma levels of nuclear DAMPs released in human plasma after severe trauma. Accurate characterization of DAMPs release and their consequences after trauma has broad clinical applications since it could entail an individualized approach for both preventive and curative therapeutic strategies. For instance, the determination of the DAMP load and the inflammatory status of the patient could tailor the timing of definitive surgical treatment. Moreover, synthetic formyl peptide antagonists and TLR9 inhibitors are already available for clinical use and could dampen both the pro-inflammatory and the anti-inflammatory responses after trauma. In this Research Topic, we aim to shed light on DAMPs and the role they play in the interactive crosstalk between musculoskeletal trauma, remote organ injury and immunosuppression. Original Research, Review, Protocols, Hypothesis & Theory and Methods articles are all welcome. Manuscripts can include basic research and corresponding animal and human research. We will highlight key mechanisms of inflammation research to influence further discussion on the development of therapeutic attempts to limit both excess pro- and anti-inflammatory actions. Clinicopathological correlation of benign breast diseases- An observational study. Hernia defect closure with corresponding mesh site fixation only in laparoscopic inguinal hernia repair. 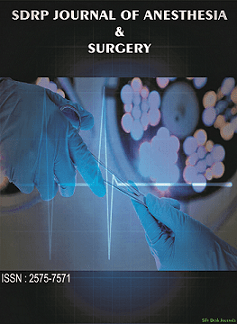 A comparison of complications between Laproscopic appendicectomy and Open appendicectomy. Emergent Operation for Perforated Peptic Ulcer Disease – Analysis of the ACS-NSQIP Database from 2005 to 2013.